They said in a statement they had agreed to resume regular trilateral meetings, not held since 2012. They also agreed more economic co-operation. The talks in the South Korean capital Seoul were an attempt to ease ill-feeling fuelled by territorial disputes and historical disagreements. China and South Korea say Japan has not done enough to atone for its troops’ brutality in World War Two. The BBC’s Stephen Evans in Seoul says the real significance of the talks is that they happened. They were held regularly until three-and-a-half years ago, when they were called off as bad feeling towards Japan intensified. “We shared the view that trilateral cooperation has been completely restored on the occasion of this summit,” South Korean President Park Geun-hye, Chinese Premier Li Keqiang and Japanese Prime Minister Shinzo Abe said in a joint statement, quoted by AFP. Ms Park said the three leaders had agreed to work together to conclude the Regional Comprehensive Economic Partnership (RCEP), a 16-nation free trade area favoured by Beijing. She said they maintained their goal of “denuclearising” North Korea, AFP reported. Our correspondent says that South Korea and Japan are torn between their allegiance to the US and their need to get on economically with Beijing. Mr Li met Ms Park on Saturday and the two agreed to try to increase trade, particularly through more Korean exports of food to China and co-operation on research into robotics. The two leaders were joined by Mr Abe on Sunday. Little more than a photo opportunity was expected to come out of the meeting between India’s Narendra Modi and Pakistan’s Nawaz Sharif on Friday. So, when the two rival nations put out a joint statement after their leaders held long-delayed talks in the Russian city of Ufa, some political commentators were caught by surprise. Almost a year after his country called off talks with Pakistan, Mr. Modi accepted an invitation to visit Islamabad in 2016 for the upcoming Saarc summit. Here are five takeaways from the statement. The current national security advisors of the two nations, will meet to “discuss all issues connected to terrorism,” said the statement. It didn’t give a timeline for the meeting between India’s Ajit Doval and Pakistan’s Sartaj Aziz. India has on several occasions blamed Pakistan for supporting terrorism, a claim Islamabad has repeatedly denied. Last year, after eight soldiers died in a militant attack on an Indian army camp in the northern state of Jammu and Kashmir, Indian Home Minister Rajnath Singh blamed Islamabad for “sheltering” terrorists. “If Pakistan can’t stop these attacks, let it take India’s help,” he said. The two sides also said meetings will take place between the heads of India’s Border Security Force and the Pakistan Rangers, followed by discussions between the director generals of military operations from both countries. Mr. Singh said in a statement Friday that this would “help in stabilizing the situation” at the border between India and Pakistan. The border has recently seen a spate of violence with cross-border firing from both sides, forcing thousands of local people from their homes. A decision on the release of Indian and Pakistani fishermen in custody in both countries, along with the return of their boats, can be expected in 15 days, according to the statement. Pakistan’s foreign ministry said as of July 1 that there were 355 Indian fishermen in Pakistani jails and 27 Pakistani fishermen in Indian jails. The statement did not go as far as to say they would be released however. The neighbors agreed to establish a “mechanism for facilitating religious tourism” between the two countries. Six months after Zakiur Rehman Lakhvi, the alleged mastermind of the devastating attack on Mumbai that killed 166 people in 2008, was freed from prison in Pakistan, the two sides announced a decision to “discuss ways and means to expedite the Mumbai case trial, including additional information like providing voice samples.” India alleges that the attackers were backed by Pakistan’s military and intelligence agencies—a charge that Pakistan denies. via 5 Takeaways from Modi and Sharif’s Meet in Ufa – WSJ. Pakistan Newspaper “Dawn” Praises Narendra Modi for Improving Indo-Pak Ties! In the latest gesture between the two nuclear-armed neighbors, Indian Prime Minister Narendra Modi called his Pakistani counterpart Nawaz Sharif to greet him ahead of the Muslim holy month of Ramadan, which starts this week. During the conversation, which lasted for around five minutes, Mr. Modi announced the release of detained Pakistani fishermen as “an act of goodwill,” Mr. Sharif’s office said in a statement Tuesday evening. The released Pakistani fishermen “will be able to be with their families to observe this blessed month,” Mr. Modi said on social networking site Twitter. Details on the number of fishermen to be released and the timing were not disclosed. “Pakistan and India should co-exist peacefully as they are neighbors, and they should not let their bilateral differences become hurdles in that path,” the statement added. Mr. Modi first extended an olive branch to Pakistan when he invited Mr. Sharif to his swearing-in ceremony after his election last year, but since then, the fragile ties have soured with inflammatory remarks from both sides. During a visit to Bangladesh earlier this month, Mr. Modi accused Pakistan of creating “nuisance” and “constantly troubling” India by promoting terrorism. Meanwhile, Indian military action along its eastern border with Myanmar last week rattled Pakistani leaders, who accused India of backing terrorist attacks on their land and slandering Pakistan at international forums. Further, Pakistan last month refused to grant visas to Indian yoga instructors ahead of the first International Day of Yoga. India retaliated by rejecting the visa application of a Pakistani official to travel to New Delhi. India and Pakistan have fought three wars since the partition of British India in 1947. Two of those conflicts were over the disputed region of Kashmir. New Delhi accuses Pakistan of sponsoring extremist groups that target India, while Islamabad accuses India of supporting terror outfits on their soil. Cricket has often served as a diplomatic tool to ease relations though. 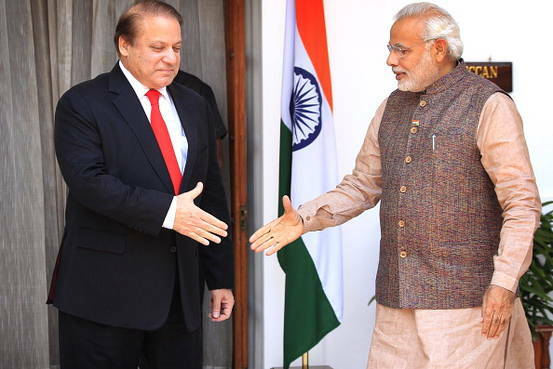 In February, Mr. Modi called Mr. Sharif to convey his best wishes for the 2015 Cricket World Cup. And in March, he again called the Pakistani prime minister to inform him about the visit of the Indian foreign secretary to his country as part of a tour of India’s neighbors. Analysts feel Mr. Modi’s telephone call Tuesday could help resume dialogue between the two hostile nations. “It is an optimistic development, a sign of goodwill in breaking the ice with Pakistan,” said Lalit Mansingh, a former Indian foreign secretary and one-time ambassador to the U.S. But, “there is far too much a negative experience between the two countries to call it a diplomatic breakthrough,” Mr. Mansingh added. via India’s Modi Makes Ramadan Call to Pakistan’s Sharif – India Real Time – WSJ. Prime Minister Narendra Modi is preparing to launch India’s biggest overhaul of labour laws since independence in a bid to create millions of manufacturing jobs, at the risk of stirring up a political backlash that could block other critical reforms. Three officials at the central labour ministry told Reuters that the ministry was drafting a bill for the upcoming parliamentary session that proposes to loosen strict hire-and-fire rules and make it tougher for workers to form unions. The changes, if approved by parliament, will be the biggest economic reform since India opened its economy in 1991, but it is likely to meet stiff opposition in parliament and from labour activists. The prime minister enjoys a majority in the Lok Sabha, but not the Rajya Sabha, hobbling his ability to pass politically contentious measures. That handicap has stymied his efforts to make it easier for businesses to buy farmland and convert Asia’s third-largest economy into a common market. Rajiv Biswas, Asia-Pacific chief economist at IHS Global Insight, said Modi had little option but to push ahead with the measures. “Without these reforms, the economy would stagnate, and frustrated investors would look elsewhere,” he said. Since taking office in May last year, Modi has taken a series of incremental steps to make labour laws less onerous for businesses, but fear of a union-led political backlash made him leave the responsibility for unshackling the labour market with Indian states. He let his party’s governments in Rajasthan and Madhya Pradesh take the lead in this area. Encouraged by a successful and peaceful implementation of the measures in those states, the federal labour ministry now intends to replicate them at the national level, one of the ministry officials said. Manish Sabharwal, one of the brains behind Rajasthan’s labour reforms and co-founder of recruitment firm Teamlease, said the federal administration would have been better off without attempting these changes. “Let states carry out these changes and save your political energy for other policy reforms,” he said. via Modi to launch India’s biggest labour overhaul in decades | Reuters. China’s greenhouse gas emissions could peak by 2025, five years earlier than indicated by Beijing, a development that could help limit the mounting risks of global warming, a study by the London School of Economics (LSE) showed on Monday. The report, more optimistic about curbing the use of fossil fuels than a Chinese industry forecast on Monday, noted that China’s “coal consumption fell in 2014, and fell further in the first quarter of 2015”. “China’s greenhouse gas emissions are unlikely to peak as late as 2030 – the upper limit set by President Xi Jinping in November 2014 – and are much more likely to peak by 2025,” the report said. “They could peak even earlier than that,” write the authors Fergus Green and Nicholas Stern, both from the LSE’s Grantham Research Institute on Climate Change and the Environment and the Centre for Climate Change Economics and Policy. China, the top emitter of greenhouse gases – that are linked to rising ocean levels, heat waves and downpours – said last year its emissions would peak “around 2030, with the intention to try to peak early”. Wang Zhixuan, secretary general of the China Electricity Council, predicted in a research report on Monday that China’s emissions from the power sector would keep rising to 2030, spurred by lower prices of coal than natural gas. The industrial association projected that coal-fired power capacity would rise next decade, to 1,450 gigawatts in 2030 from 1,100 in 2020. The LSE authors estimated that China’s overall emissions could peak at the equivalent of between 12.5 and 14 billion tonnes of carbon dioxide a year by 2025, up from about 10 billion around 2012. That earlier-than-expected high point would help the world get on track for limiting warming to a maximum of two degrees Celsius (3.6 Fahrenheit) above pre-industrial times, they wrote, as long as China introduced sweeping reforms from cities to public transport. Group of Seven leaders were meeting in Germany on Monday to discuss issues including climate change and how to achieve the 2C target, which many experts say is fast slipping out of reach. And senior negotiators from almost 200 governments are meeting from June 1-11 in the German city of Bonn to work on a U.N. deal due in Paris in December to limit temperatures. via China’s greenhouse gases could peak early, easing climate fears | Reuters. India on Monday named its powerful national security adviser as a special envoy on China, opening the way for resumption of talks on the disputed border, where tensions have risen in recent months over border patrols and stiffer defenses. Ajit Doval, a close aide of Prime Minister Narendra Modi, will lead the negotiations with Chinese State Councillor Yang Jiechi to try and reach a settlement on dispute over the 3,500-km (2,175-mile) border that has clouded rapidly expanding commercial links. 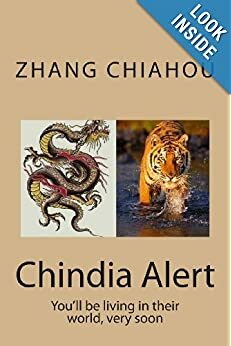 In September, the two armies were locked in a faceoff in the Ladakh sector in the western Himalayas just as Chinese President Xi Jinping was visiting India for the first summit talks with Modi. Both leaders vowed to work together to resolve the border row that has defied a solution even after 17 rounds of high level talks over the last decade and negotiations even earlier between the diplomats of the two countries. China lays claim to more than 90,000 sq km (35,000 sq miles) disputed by New Delhi in the eastern sector of the Himalayas. India says China occupies 38,000 square km (14,600 sq miles) of its territory on the Aksai Chin plateau in the west. Doval, a hardliner on national security issues, will conduct boundary negotiations as well as strategic consultations with China, Modi’s office said in a statement. New Delhi has vowed to beef up defenses along the border to narrow the gap with China’s network of roads and communication links. Beijing has expressed concern about India’s plan to build roads and border outposts in Arunachal Pradesh in the east, which it refers to as south Tibet. Indian officials say Chinese border patrols have been intruding deeper into their side of the de facto border, in a sign of assertiveness that has fueled concern in the region. via India names special envoy for China border talks | Reuters. As the video above suggests, the encounter was a tad on the chilly side, with Mr. Xi apparently refusing to return his counterpart’s greeting and looking throughout the photo op as if he’d rather be shaking hands with one of the goats that are said to be stripping the aforementioned disputed Diaoyu/Senkaku islands of their scant vegetation. 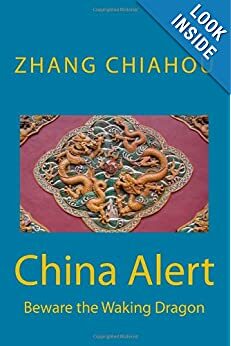 China and Japan had earlier issued a surprise announcement that they planned a gradual resumption of diplomatic and security dialogues, though each side translated the text of the agreement in ways that made it look like the other had folded. That subtle sniping continued on Monday, when China’s official Xinhua news agency emphasized that the meeting between Messrs. Xi and Abe came “at the request of the Japanese side” — a message Mr. Xi’s expression during Monday’s handshake helped reinforce. It wasn’t the first time onlookers have felt a chilly blast when the prime minister of Japan met China’s president. In November 2010, for example. then-Prime Minister Naoto Kan met then-Chinese President Hu Jintao. The meeting saw a few arms-length handshakes exchanged. Mr. Kan read out his greetings to Mr. Hu from a memo. A Chinese fishing trawler had collided with a Japan coast guard boat that September near disputed islands, known as Senkaku in Japan and Diaoyu in China. via Watch: Xi Jinping’s Ice-Cold Handshake With Japan’s Shinzo Abe – China Real Time Report – WSJ. China and Vietnam have agreed to handle maritime disputes through dialogue, Chinese state media reported on Monday, months after ties between the two countries hit a three-decade low in a row over a Chinese oil rig in disputed waters. The two Communist neighbors must respect each other and focus on long-term interests, President Xi Jinping said, according to the official Xinhua news agency. “Sino-Vietnamese relations have been advancing continuously since the two nations established diplomatic relations, despite some twists and turns,” he said. Vietnamese President Truong Tan Sang said his country was ready to “properly deal with maritime issues through friendly consultation so that the issues will not affect its relations with China”, according to Xinhua. via China, Vietnam willing to handle maritime issues through dialogue | Reuters.